Thank you so much for taking the time to write a review of the work Andy did for you. We sincerely hope you enjoy your completed renovation and look forward to working with you in the future. The team is professional, friendly; and the workmanship is excellent. Thanks to Hazim in particular, we are so blessed to have him working for us. Thanks so much for the review, we truly appreciate it. We were more than happy to help you out with your project. Please don't hesitate to call if there is anything else we can do for you in the future. 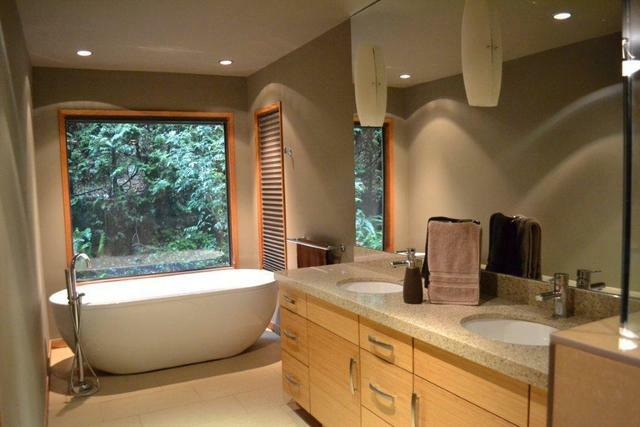 Recently, I had one of my bathrooms renovated by the professional contractors from Blue Ocean Construction. Every aspect of the experience with their main contractor for the North Shorei was extremely positive. 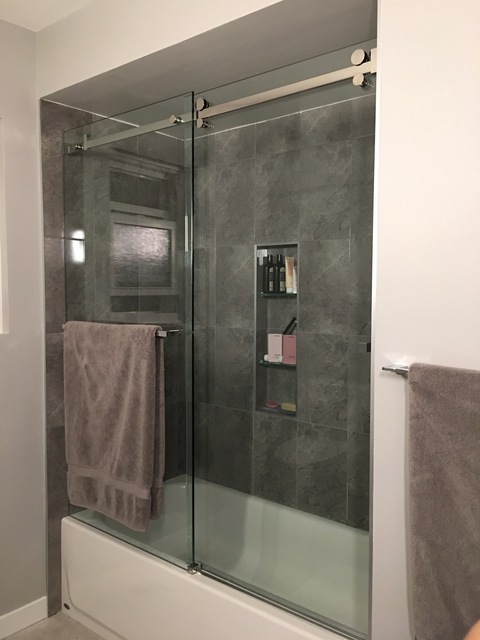 I had many contractors submit estimates for this renovation which included demolition of the walls, bath tub removal, reversing the existing drain, installing a walk in tub, install required electrical, tile floor and walls. I was supplying the walk in tub, wall tiles & floor tiles. Blue Ocean submitted the best estimate by over three thousand dollars. The main contractor was in continuous contact with me before and during the project. He supplied positive honest perspectives and solutions. Gavin and all the trades people involved were professional and a pleasure to deal with. They went out of the way to make sure I was pleased with their progress throughout the project. I was very pleased with the job they have done and the project was exactly what the estimate was. I highly recommend their services and will use them again for my future renovations. Thank you so much for taking the time to write a review of the work Gavin did for you. We sincerely hope you enjoy your completed renovation and look forward to working with you in future. 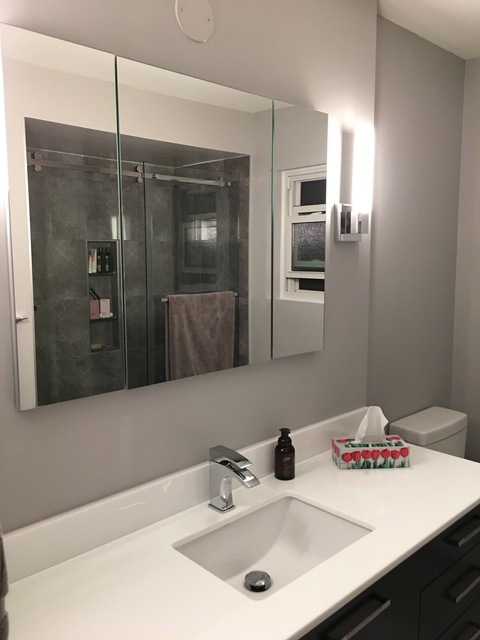 We had 3 bathrooms done - vanities, floors (one with heated floors), mirrors and light fixtures by Blue Ocean Construction. Our experience couldn't have been better with Blue Ocean. Gavin and team were professional at every turn. Whenever an issue arose or an extra favour was asked, he handled the request with efficiency and a "can-do" attitude. 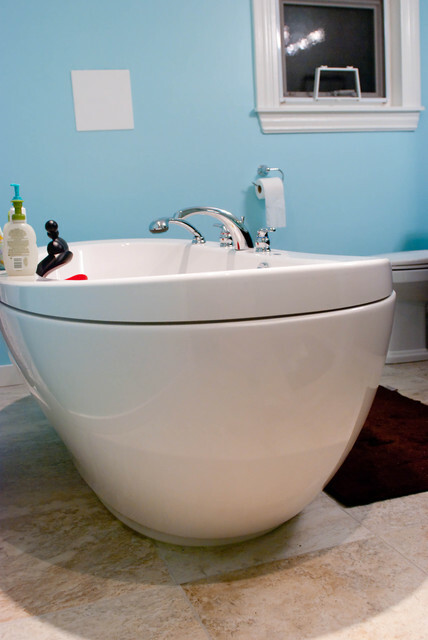 the workmanship was very very good and we are extremely happy with our 3 new bathrooms. The work was also done very quickly - we expected it to take much longer. Thank you Gavin! Thank you so much for the review, we truly appreciate it. Please do not hesitate to call if there is anything we can do for you in the future. Enjoy your new bathroom. Thank you for choosing to work with our company, and for your kind review of Hazim and the renovation. Please do not hesitate to contact our office should you require any future service. Dawn, thank you for taking the time to write the review of your renovation experience and working with Gavin. We feel very fortunate to have him as part of our team and will be sure to pass your kind words along. Please don't hesitate to contact us for any future renovation work you are considering. Thanks again and enjoy your new bathroom. Loving my new bathroom. Ben made the process so easy and hassle free. He was very respectful of my home and time. Definitely would recommend Blue Ocean for home renovations. Thank you so much for the kind review of Ben and your renovation. Please don't hesitate to let us know if you need anything in the future. Contractor Ben Brzovic. Ben worked on our bathroom renovation for 8 days, including Saturday and Sunday. Budget projection on target. .... Ben listens to what was being said and makes minor adjustments suggested. This guy is pleasant, conscientious and takes pride in his workmanship. He was punctual and most helpful in selecting bathroom items. To assist in this selection he met us at Home Depot and helped us make good choices.... With daily departures, he left the work area extremely clean. He is there at the time he commits to. Recommending Ben for your renovation is a no brainer. You will not be disappointed. Thanks so much for the review, we truly appreciate great clients like you. It was a pleasure getting to know you over the course of the renovation process. Don't hesitate to call if there is anything else we can do for you in the future. The contractor, Hazim made the entire renovation process as easy as possible. He met us several times to pick out the appropriate products to suit our space & suggested very trustworthy companies for specialty items. He always showed up when he said he would & remained calm & professional the entire time. When we would hit a problem with the reno, he was honest & always had a way to fix the issue without going way over budget. I look forward to our next project with Hazim & will continue to recommend him & Blue Ocean Construction. I love the finished product! It was a pleasure working with you on your project, and we look forward to the next one! Thank you for the fantastic review of Hazim and his team. We truly appreciate it. We are very happy with the results of the renovation done by Blue Ocean.The quality of the work was excellent and completed in a timely manner. Hazim did a great job managing the project , he was accommodating , reliable and was a pleasure to work with . We would certainly use Blue Ocean again and would recommend them to others. We appreciate great clients like you, and the kind words regarding Hazim and your project. We look forward to working with you again in the future. Blue Ocean Construction is an award winning General Contracting Firm serving clients in the Vancouver and the Lower Mainland areas. Now in our 28th year, at Blue Ocean Construction we’ll take the time to fully understand your requirements and provide you with the information to need to make an informed decision on your construction needs. With an open, friendly and flexible working attitude, we provide professional detailed costing, scheduling and project documentation. As an accredited member of the Better Business Bureau for 20+ years, we’ve achieved an A+ rating. We are a member of the Canadian Home Builder’s Association, and of Renomark. Winner of multiple awards and accreditation's, we’re proud of our team, and our continuous commitment to excellence. 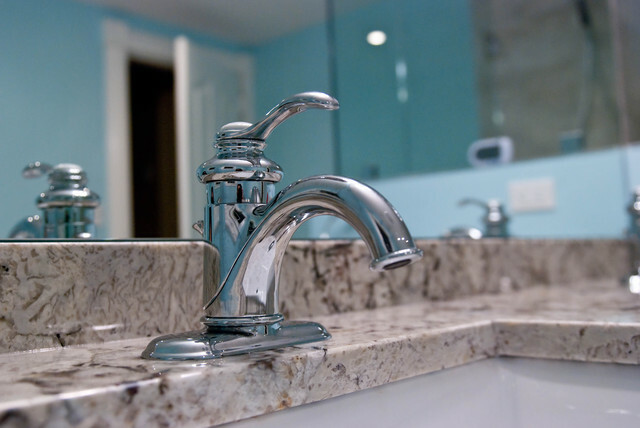 We also provide interior renovation services through Home Depot, such as bathroom, and basement renovations. Our services include residential, commercial and retail construction and renovations. As licensed building envelope and building contractors we also provide building maintenance and envelope services to strata and cooperative associations. Blue Ocean Construction is the sole providers of Interior Renovations for over 30 of Western Canadian Home Depot stores. Home Depot Interior Renovation Program.